From battling toothaches while fighting the British, to having rotten teeth removed by his dentists, the Father of His Country suffered all his life with tooth problems. Yet, contrary to popular belief, he never had a set of wooden teeth. Starting at the age of twenty-four, George Washington lost on average a tooth a year, and by the time he was elected president, he had only two left! 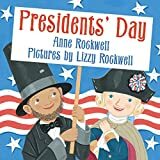 In this reverentially funny tale written in verse and based on Washington's letters, diaries, and other historical records, readers will find out what really happened as they follow the trail of lost teeth to complete tooflessness. Illustrated in watercolors with subtle humor by Brock Cole, the main story is followed by a four-page time line featuring reproduced period portraits of Washington. Deborah Chandra's previous children's books include A is for Amos, which Publishers Weekly called "a charmer" in a starred review. She lives in Altadena, California. 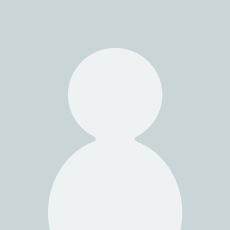 Madeleine Comora is an author and poet who lives in Glendale, California. Brock Cole is the author and/or illustrator of many books, including the picture books Buttons, a Boston Globe–Horn Book Honor Book, and Larky Mavis. His newest picture book, Good Enough to Eat, will be released in Fall 2008 by FSG. He lives in Buffalo, New York. What a neat book! 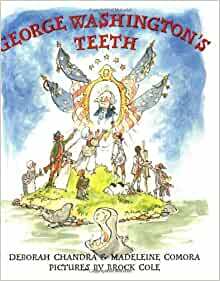 Great rhymes, and tells the story of Washington's dental problems in the way a Child will understand. My son would have liked it before he was 5, but he was started on "history" early. Wish I would have had it back then. I highly recommend the book, and your Child will be learning history in a fun way and not even know it. 5.0 out of 5 starsI adore this book! My students always walk away from this read aloud with a new found appreciation for oral hygiene! This book is entertaining and interesting from beginning to end. It tells how George Washington lost his teeth. 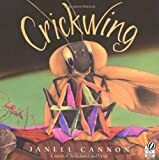 My kindergartners LOVE this as a read aloud, and always have a bunch of questions at the end. There is a great timeline in the book, and a picture of George Washington's fake teeth. My students are mesmerized from beginning to end. Your students will never again forget to brush their teeth! 5.0 out of 5 starsAdorable! Bought this book for my friend's kids (she's five, the oldest is seven). They loved it! (Well, except the six week old, but she wasn't so interested...) It was adorable and hilarious. 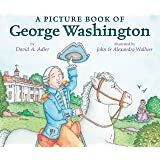 I got them the book because the five year old didn't want to brush his teeth one day, and I warned him that George Washington didn't have any teeth at all. He didn't believe me, so I went hunting for a book to show him. They actually made me read it three times in a row before they would move on to anything else. It tells a great story, it rhymes, and it lets the kids count along with the number of teeth he has left! I couldn't have been happier. 4.0 out of 5 starsBe thankful for your dentist! 5.0 out of 5 starsSuch a great book! I am a school counselor and used this book in one of my lessons. I enjoyed the story as much as the students did. They loved the counting of the teeth and the rhythm of the book. 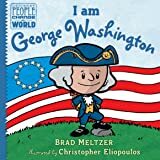 The story of George Washington is told in such a whimsical way. Anything to get kids interested in history works for me! The illustrations in the book were great, but the section in the back with real pictures and more textbook facts were a great addition to the book. An interesting new perspective on George Washington. It makes him seem more human to children. Young children are intrigued to have the myth of wooden teeth squelched. Ther book provides a historical timeline in the back. 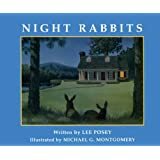 This is a great book for children of ALL ages. Even I, an older child and teacher, learned some things. I had no idea our first president was so obsessed with his teeth and that he had such an active role in the solutions to his dental problems. Highly recommended. 5.0 out of 5 starsChew on, George! The illustrations are just fabulous! Am a retired history teacher and welcome the chance to teach my 6 yr. old grandson about our first president. Am sure he will love this book. 5.0 out of 5 starsOh poor George! He's a hero with a hardly heroic problem...his teeth are falling out! My boy and I enjoy this story of the man behind the Legend, struggling with his teeth as he struggles with the English. Comical pictures make the tooth loss tragic yet not uncomfortably squeamish for the grown-ups in the room. The timeline at the end of the story provides excellent details for continued conversations about George Washington and his teeth for the curious. Recommended!